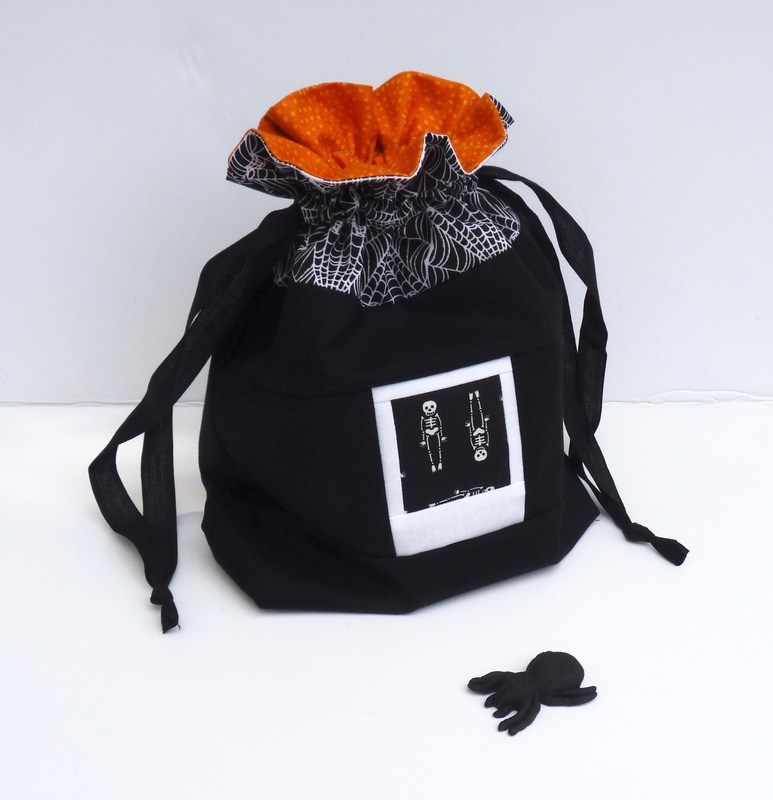 Halloween-themed drawstring bag featuring a scary skeleton Polaroid on the front. Fully lined with pumpkin orange fabric. All materials are 100% cotton quilting fabrics with cotton/linen ties. (Pattern by In Color Order).